As a pioneer of financial education for teens since 1984, NEFE’s High School Financial Planning Program (HSFPP®) serves more than 900,000 students annually, in all 50 states and on military bases around the world. Periodically, the HSFPP commissions third-party evaluators to assess how well its curriculum is meeting the needs of teachers and students. The latest evaluation offers insight into the ideal climate to reach American teens with financial education. The Economics Center at the University of Cincinnati conducted an independent evaluation of the HSFPP in action over the 2016-2017 school year. The HSFPP treatment group consisted of 42 teachers and 1,700 students who used the HSFPP materials for 75 percent or more of their financial education program. The “other programs” group contained 51 teachers and 2,800 students who also received financial education but used the HSFPP for 25 percent or less. Students who received no financial education were omitted in this analysis. It would be expected that students receiving any financial instruction would outperform those who received none. 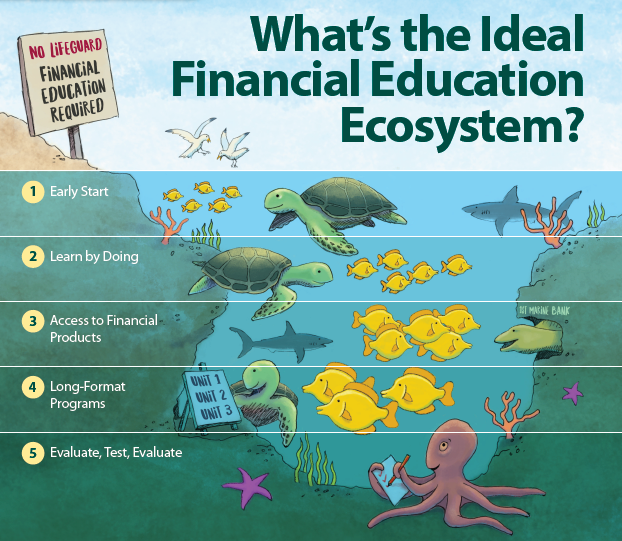 Although this evaluation shows that any financial education is beneficial, students receiving financial education based predominately on the HSFPP outpace those learning from other curricula and resources in areas of confidence and behavior. This study shows how the HSFPP’s plan-driven, competency-based approach is making a difference in long-term financial capability. The HSFPP doesn’t just teach information or show students how to manage a financial task — it guides them as they do it for themselves, so they can apply it to their own lives and return in the future to do it again successfully. As a result, the HSFPP students are better at demonstrating and forming positive behaviors than those who have taken other financial education courses. The HSFPP students also had greater average gains in confidence than those from other programs.